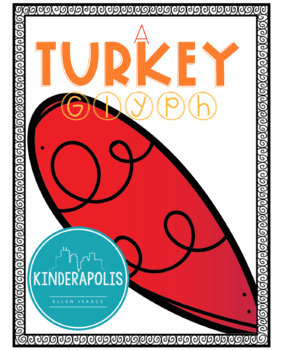 Your students will love completing this Thanksgiving Turkey glyph. 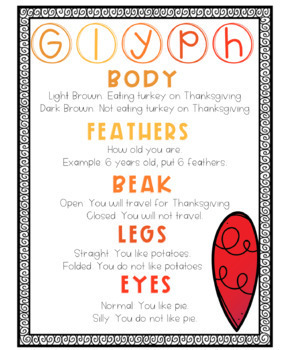 There is a glyph that outlines criteria as well as a blank one allowing for you to decide what criteria the turkey body choices will be. 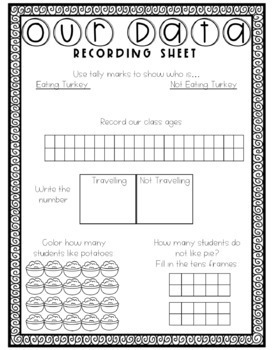 This resource includes a class data recording sheet where as well as an individual recording sheet where students can observe the turkeys and record their findings. There are 3 different recording sheets. One sheet has enough space for 20 students, another up to 30, and then a blank student recording sheet. The recording sheets are also editable, allowing the teacher to type the appropriate age options before printing. There are 3 different feather options... a blank feather, one with designs, and one where students can write what they are thankful for. Use one, two, or all of them in your designs! 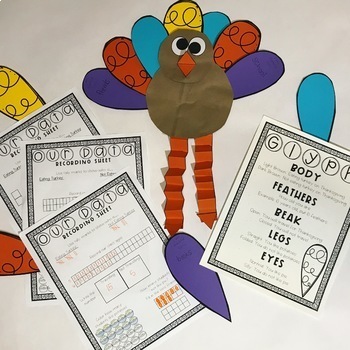 This is a great way for students to learn about Thanksgiving, practice math skills, writing skills, read and record data, and create with their hands and art materials. This is a print, cut, and go resource! I have made it in a way that I hope is easily prepped. It also makes for a great bulletin board display in November! I hope you enjoy this as much as my students and I do!